The air today is highly polluted and can be quite harmful to your health. For this reason, air filters play a very important role in ensuring that we breathe in air that safeguards our health. 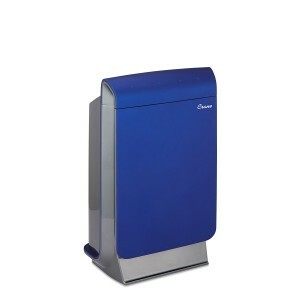 Air cleaners today come with very sophisticated technology that makes them very efficient in air purification. 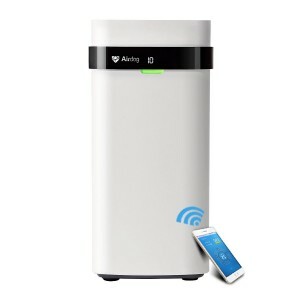 In some cases, you can either connect to them via Wi-Fi as they are Wi-Fi air purifiers or they are just smart purifiers that are automated to work independently. 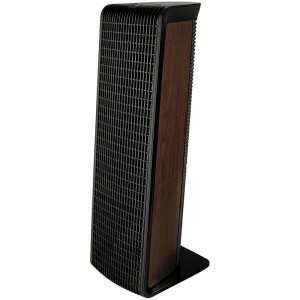 In those reviews, we look at some of the best air purifiers in their class. It comes with dimensions of 11.6 x 16.2 x 24.1 inches with a weight of 24.1 pounds. It is fitted with a multistage filtration system that is made of three filters: the pre-filter, HEPA Filter, Active carbon filter. It is designed with the Aerasense technology. It has the capacity to display air quality using a numerical index and a visual ring. It comes with three automatic settings and five modes for preferential settings. It can purify up to 277 sq. ft. of a room at a time. It has Wi-Fi capability and can connect to phones via an app. 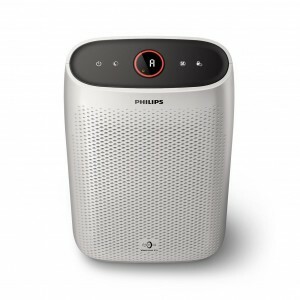 It is no doubt that the Philips Air Purifier 2000i is quite efficient in purifying air thanks to the technologies that it is fitted with. You will love its multistage filtration system that has the capacity to purify over 99% of the germs in the air. The Aerasense technology that it is fitted with has the capacity to detect unclean air and purify it through automatic settings. And you can also use its five different modes to set it to your preferences. However, it works with very expensive filters and it only works for small or medium sized rooms. You can control it remotely using your phone to change settings for speed or just set a schedule. It will save you a lot of energy costs since it consumes very little energy as Energy Star Certified device. You can use it to purify both large rooms and small rooms. It comes with different modes that you can use to adjust it to your preferential settings. You can check its air quality display to show you whether the air is quality, polluted, has good allergen or bad allergen. It is highly sensitive and can detect the air quality and adjust automatically purify it. You get to benefit from a superior purification technology thanks to its three different filters that capture over 99.9% of allergens and particles. It does not make noise during use. It cannot be used to purify the air in large rooms. It comes with dimensions of 8.7 x 6 x 24.9 inches with a weight of 8.6 pounds. It is fitted with a 360 degree HEPA filter. It can work in three different modes: automatic mode, sleep time and night mode. It can be controlled through the use of voice since it connects to Alexa. It is not fitted with any fast-spinning blades. It is certified Asthma and allergy friendly. It can be remotely controlled through the Dyson Link App. It is multifunctional - works as a heater in winter and cooling fan in summer. It comes with dimensions of 12.2 x 12.2 x 29.5 inches with a weight of 23.1 pounds. It works with a four-stage purification system made of four filters– Carbon filter, HEPA filter, Plasma wave tech and Fine Mesh filter. It is designed with four different fan speeds; Low, Medium, High, Turbo. It is fitted with smart sensors. It has an LED indicator displays with auto mode functionality. It is fitted with the LED auto dim feature. It comes with a filter replacement indicator. It is compatible with Wi-Fi and works with the Winix Smart App. It comes with dimensions of 9.4 x 9.4 x 5.9 inches with a total weight of 11.3 pounds. It is fitted with Hyper Iron Repulsive Deposition electrostatic technology. It works with five different speed settings – off, low, medium, high, turbo. It can purify rooms of size 360 sq. ft. It notifies you when it is time to clean it. It can connect to Wi-Fi and work with the Nectar Smart App. It is fitted with an intelligent air quality monitor. It is designed with an auto shut off feature. It comes in dimensions of 10.1 x 14.6 x 23.7 inches with a weight of 14.4 pounds. It is designed with a multi-stage active filtration system made of three different filters; Pre-filter, HEPA filter, Active carbon filters. It comes with the highly efficient Aerasense technology. It has visualized air quality interface. It can be used to purify up to 200 square fits of a room. It can connect with Wi-Fi and can be controlled through the Air Matters App. It has three automatic air purification settings; General mode, extra sensitive allergen mode, Night sense mode. 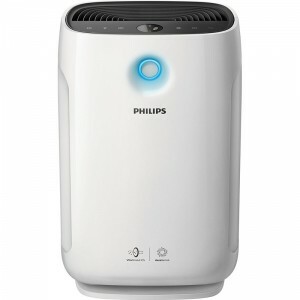 The Philips Air Purifier 1000i is one air cleaner that is very effective for cleaning both small and medium rooms. 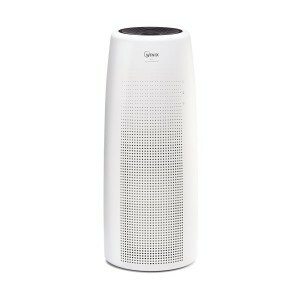 It is fitted with a multistage filtration system that is very good for purification of air together with the Aerasense technology that closely monitors air quality and purifies it. You will also love that it comes in three different automatic modes that it uses in different settings to deliver pure air. The major drawback that it comes with is that getting it to work with Wi-Fi is quite tedious. It does not take up much space due to its small dimensions and it is very lightweight. You will love its multistage filtration system which is very efficient in eliminating allergens, gases, odors, and bacteria. It can detect the air quality and automatically make adjustments to purify it. You can check the interface on the dashboard for the air pollution, allergen and particle levels. 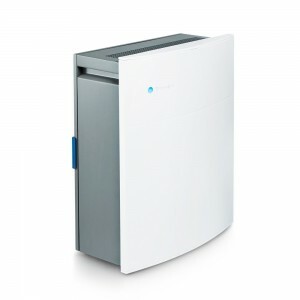 It can be used to purify medium and small rooms of up to 200 sq. ft.
You can control it remotely using the Air Matters app from the comfort of your phone. It consumes very little energy thus will save you a lot when it comes to energy costs. It comes in dimensions of 22.5 x 10.7 x 10.7 inches with a weight of 22.5 pounds. 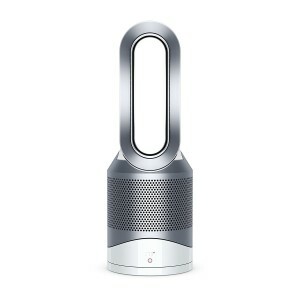 It uses the iconic wind technology to purify the air. It is fitted with an ozone removal filter. Its purification filter is reusable. It can purify rooms of up to 400 sq. ft. in just 20 minutes. It is designed with a smart control system. It can connect to Wi-Fi and can be controlled through an application. It can be operated in six different modes. It comes with dimensions of 12.9 x 10.3 x 29.7 inches with a weight of 16.1 pounds. It can connect to Wi-Fi and can be controlled remotely using the WeMo app via phone. It is designed with a HEPA filtration system. It alerts you when the filters need to be changed or when the purifier needs maintenance. It can be preset to preferred settings for up to seven days. It comes with dimensions of 14.8 x 14.8 x 22.8 inches with a weight of 24.7 pounds. It is fitted with a green true HEPA Filtration system. It can cover up to 400 ft. It works with three different modes: Auto mode, Eco mode, and the sleep mode. It comes with a filter lifespan indicator. It is designed with a real-time air monitoring system. It is fitted with an air quality sensor that works with a colored LED ring. It comes with dimensions of 8 x 17 x 21 inches with a weight of 22 pounds. It is fitted with a HEPASilent patented technology. It has Wi-Fi capability and can be remotely controlled by a phone app. It works best for rooms that are up to 279 sq. ft. It comes with three different fan speeds. It is designed with larger air inlets and outlets. 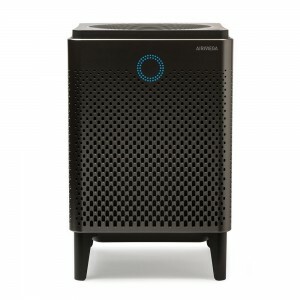 The Blueair Classic 205 Air Cleaner comes with large air inlets and outlets. All this make it easy for it to purify the air and make it much cleaner in addition to increasing the airflow in the rooms that it is placed in. It also comes fitted with a HEPASilent filtration system that will eliminate all manner of harmful allergens and particles in the air with 99.9% efficiency. The only disadvantage that it has it that it is designed to work well with small and medium rooms. It is very efficient in the elimination of allergens, molds, dust, and smoke thanks to its innovative HEPASilent technology. You can control it remotely to adjust its settings thanks to its Wi-Fi capabilities that ensure you can connect with it through a phone app. It is fitted with three fan speeds that you can set your preferences for maximum comfort. You will love it that its filtrations system is fitted with a different filter which makes it very to eliminate different kinds of particles and germs. It increases airflow in the rooms through its large air inlets and outlets which are also effective in delivering clean air. It is compatible with Amazon Alexa and Echo. It does not work for large rooms as it can only be used for small and medium rooms. It comes with dimensions of 14.7 x 9.4 x 22.6 inches with a weight of 12.8 pounds. It works with a smartAIR purifier. It connects to Wi-Fi which allows you to connect it with a FREE crane app. It comes with three different speed settings. It is fitted with a particle and VOC system. It is fitted with child lock functionality. It is made of foam washable filters. 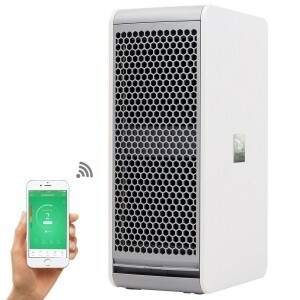 You will love the Crane Wi-Fi Air Purifier since it comes with a smartAIR purifier which will go a long way in helping you to ensure the air in your rooms is safe from harmful germs. It also comes with smart sensors that monitor and detect any harmful changes in your room's air quality at all times. You can also set its timer to ensure the air purifier works at designated times. The only drawback that it comes with is that it does not work well for large rooms. It takes up very little space since it has very small dimensions and it is also very lightweight. You have three different speeds to choose from to ensure your comfort with fans optimized for silent operation. It comes with the smartAIR purifier which works with a photocatalyst filter and a HEPA filter to eliminate over 99.9% of the germs found in raw air. Your child is safe around it as it comes with a child lock that keeps away curious children. It monitors the air quality through its sensors so that it can make the requisite adjustments to purify the air. You can program it to purify the air at set times. It has foam washable filters that are capable of capturing even the largest particles. It can only work in small and medium-sized rooms.